Featuring 'Return to the White City' for Wind Orchestra, University of Nevada Las Vegas Wind Orchestra cond. Thomas G. Leslie. Featuring 'When Sparks FLy' (from Healing Power of Flame) for baritone horn and brass band, baritone horn soloist Sarah Lenton, Foden's Band cond. Michael Fowles. Featuring 'Looking In' for wind orchestra, Cardiff University Wind Orchestra cond. Martin Humphries. 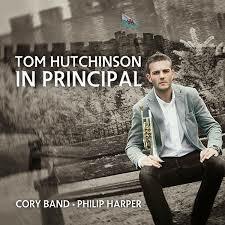 Featuring 'Alaw' for cornet and brass band, cornet soloist Tom Hutchinson, Cory Band cond. Philip Harper. 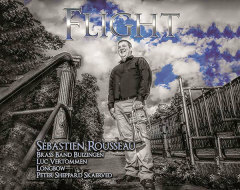 Featuring 'South Loop' for flugel horn and brass band, flugel horn soloist Sebastien Rousseau, Brass Band Buizingen, cond. Luc Vertommen. Featuring 'Diversions on Gwahoddiad' for tenor horn and brass band, tenor horn soloist Owen Farr, Cory Band cond. Philip Harper. 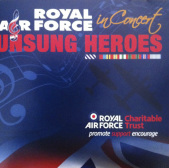 Featuring Ascension, duet for trumpet and euphonium, euphonium soloists Steven Mead, trumpet soloist Ben Godfrey, Central Band of the Royal Air Force cond. Wing Commander Duncan Stubbs. Featuring Pads and Riffs, for multi-tracked tubas, tuba soloist Nick Etheridge. Featuring VIVAT!, set test piece for the brass band 2nd Division of the World Music Contest (Kerkrade, Holland), Ensemble de Cuivres Ambitus, cond. François Roh. 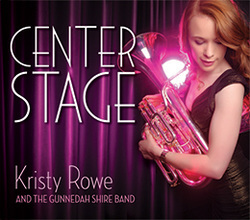 Featuring The Healing Power of Flame, baritone horn soloist Kristy Rowe and Gunnedah Shire Band, cond. Jason Katsikaris. Featuring Schizophrenia, trombone soloist Brett Baker and John Wilson, piano. Featuring Cries of Rhiannon, soprano cornet soloist Steve Stewart & Cory Band cond. Philip Harper. Featuring the live, contest winning recording of VIVAT! by Unite the Union Band, cond. Derek Renshaw at the 2012 National Brass Band Championship, first section. 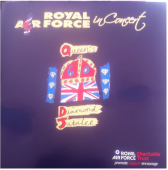 Featuring Return to the White City - The Central Band of the Royal Air Force, cond. Wing Commander Duncan Stubbs. 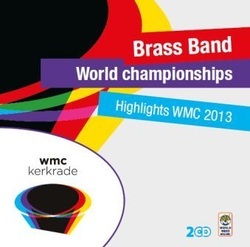 Featuring Off the Scale - Cornet soloist Harmen Vanhoorne & Brass Band Buizingen, cond. Luc Vertommen. Romanza, Waltz for E. , Hangin' with Monti, Rondo Olympia, Beaufort Allegro, Quiet Moment and Lindy Hop! Featuring Diversions on Calon Lan - Trombone Soloist Jonathan Pippen & The Central Band of the Royal Air Force, cond. Wing Commander Duncan Stubbs. Featuring the 2011 British Composer Award nominated work Looking In. Performed by the Royal Northern College of Music Wind Orchestra, cond. Clark Rundell. 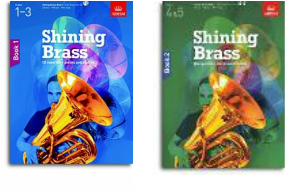 Featuring Proverbially - Euphonium Soloist Glenn Van Looy & Gunnedah Shire Band, cond. Jason Katsikaris. Featuring Diversions on Calon Lan - Trombone Soloist Stephen Sykes & Tredegar Town Band, cond. Ian Porthouse. Featuring Summon the Rhythm - Trombone Soloist Brett Baker & The Leyland Band, cond. Howard J. Evans. 21st Anniversary Album of the All England Masters International Brass Band Championship. Featuring Phoenix Rising - Desford Colliery Band live at the 2010 Gala Concert. Featuring Diversions on Calon Lan - Trombone Soloist Jonathan Pippen & The BTM Band cond. Tom Davoren. Featuring Visions of Kolkhis - The Leyland Band cond. Jason Katsikaris. The Cornet Office, PO Box157, Glos. GL1 1LW.